It is easy to find oneself in the midst of a raging debate about which of the two types of fund management approaches - Active and Passive - is best, and the arguments are generally skewed towards the approach chosen by the company for which the writer works. 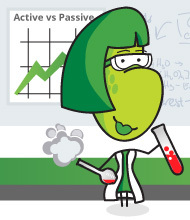 What is an active and a passive fund management approach, you may be asking? Actively managed funds have a fund manager who delivers returns based on specific mandate. That person is responsible for selecting which investments to make, when to sell those investments amongst a myriad of other responsibilities. Passive funds on the other hand, simply track a certain index and are not actively managed. As a result of the human capital required to constantly manage the funds under active management, the fees charged by these asset managers are generally higher than those charged by their passive alternatives. 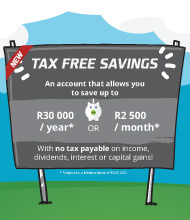 Tax-free savings accounts can help you save more for the long term because you don’t pay tax on the growth of your investment. There are quite a few providers that offer these types of investments, so where do you start? 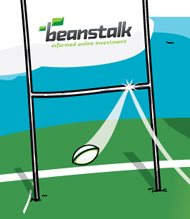 We thought you might be amused by this article trending at the moment regarding the Rugby World Cup. It is not intended to be 100% accurate, but it does serve to remind us to not invest with our emotions. Correct asset allocation is arguably the most important factor in determining investment returns according to Ian Jones from Fundhouse, an independent Fund Rating Agency. Welcome to our news section where we will do our very best to keep you up to date with relevant and interesting information about investing, investments and the financial services industry in general.